You’d think that given how much we LOVED the original Teeny Titans (we awarded it 5 stars in our review, made it our Game of the Week, included it in the Best Games of 2016 roundup, and several staff members featured it in their own personal best games lists for that year) that the arrival of the sequel yesterday would be a shoo-in for our Game of the Week. Well, it’s actually more complicated than that. Teeny Titans 2 did arrive this week, officially titled Teen Titans GO! Figure ($3.99), and for a game that I’ve been anticipating perhaps more than any other since it was originally announced in early April, my initial experience with the new game could best be described as more of a whimper than a bang. The reasons for this are made quite clear in Shaun’s excellent review of Teeny Titans 2, but it more or less comes down to this sequel being too similar and recycling a lot of the same content from the first game. You see, I was heavily into the first Teeny Titans when it came out two years ago, and probably spent two straight months playing it every single day, maxing out every character and beating every mission. And a few months later when they added a new Challenge Mode and some new figures, I maxed all THAT stuff out too. I’d be scared to know how many total hours I devoted to Teeny Titans back in 2016. So when I first fired up Teen Titans GO! Figure and was greeted with almost the entire same collection of figures I’d already collected and maxed out a couple of years ago, but all now reset to their initial levels, it gave me a sinking feeling in my stomach. Kind of like when you’ve devoted a ton of time to a game only to play it one day and find your save progress wiped. It felt like the game was telling me “I know you climbed Mount Everest, but let me push you down to the bottom so you can climb up it all over again, there’s a new hat at the top this time!" Granted, the brilliance of the original game in the form of the excellent battle mechanics, the addictive upgrade loop, and the fantastic humor were all present in this sequel, but it’s just… did I have it in me to do it all over again? The answer, as it turned out, is a resounding yes. Pushing past those uneasy feelings in the beginning of the game I soldiered on, and it honestly wasn’t too long before the game got its meaty hooks into me once more. Yes I’d have to start all over in my pursuit to collect ’em all, but there are some major improvements this time around compared to the original game too. 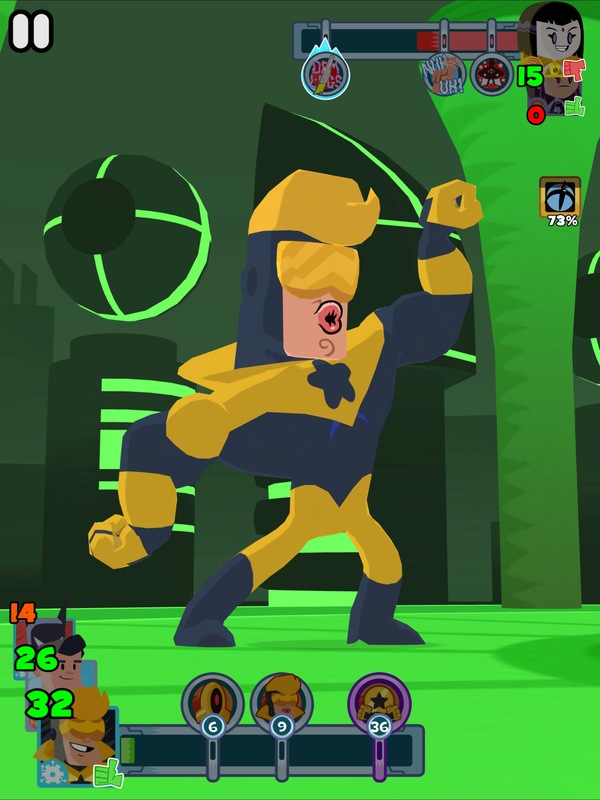 The combat has been balanced and polished to a sheen, and whereas you could typically brute force your way through a battle in the first game just by having higher level characters than your opponent, in Teeny Titans 2 you really need to put thought into who you are battling and which of your own figures will match up best against them. You also need to take full advantage of each figure’s unique moves and in general just use a lot more tactics if you want to be successful. The result is a more challenging game and a much greater sense of satisfaction for every victory you earn. There’s more. 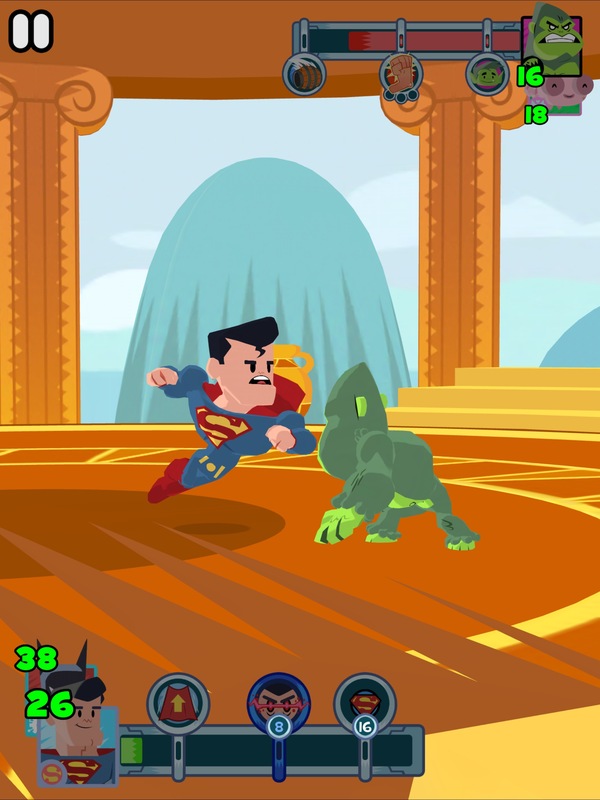 Teeny Titans 2 lets you play through the game as any of the main five Teen Titans, not just Robin as in the first game, and there’s a brand new story to follow along with which complements and continues the original game’s story really well. The humor and fan service is once again on point. Also the entire Jump City map has been rejiggered so you’re not treading the exact same Jump City as the first game, and there’s two more maps in this sequel–Gotham City and Metropolis–that are each just as big as Jump City. The game area is effectively triple the size of the original Teeny Titans, which is awesome. Despite many of the game’s figures being the same as the first game, there’s still a lot of brand new figures too, and a neat new painting mechanic which sees you able to respray your figures to give them more of a custom look. Once I started getting my new collection going and leveling up some figs, I was in love all over again. 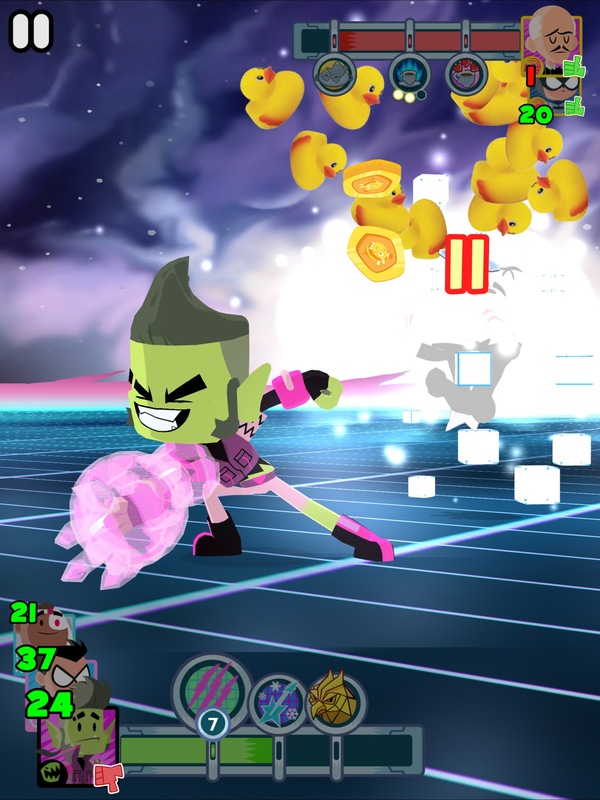 There’s also new items called Accessories which you can unlock at various points in the game and then equip to take into battle with you, adding yet another layer of strategy to the already brilliant combat system and giving you another cool thing to collect. 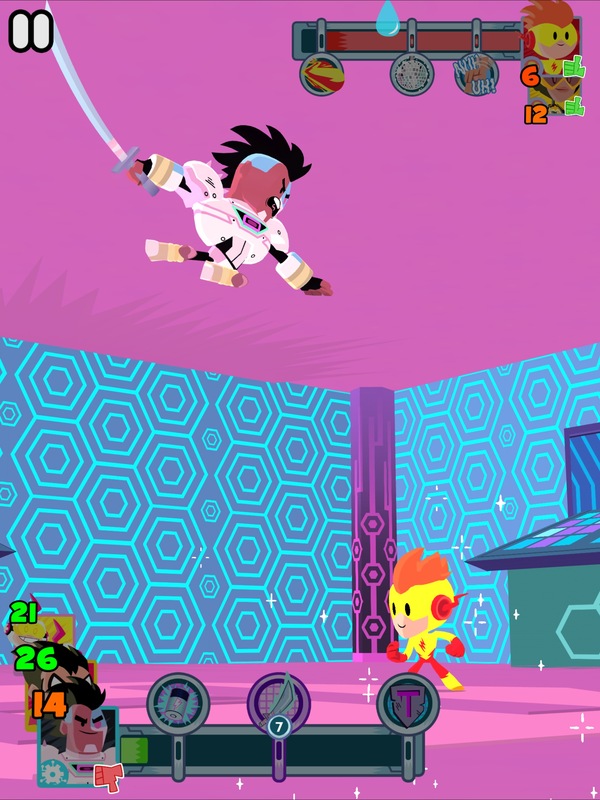 While so much of Teeny Titans 2 could be considered recycled content, there really is a whole lot here that’s totally new and refreshed too once you really start digging into the game. So is this really just Teeny Titans 1.5? Well, yes and no. For me enough time has passed that I’m down to go down this whole collectathon rabbit hole once again. That may not be true for you if you’ve already had your fill of Teeny Titans before and were hoping for something more drastically different. That said, if you didn’t play the original then this is most certainly the one to get, as it’s a greatly improved version of an already outstanding game. I think should a third game come at some point down the line there should probably be some more extra tricks thrown in to freshen up the formula, but for Teen Titans GO! Figure in the here and now, there’s just no denying how fantastic this game really is, and I’m actually excited to once again get sucked into its grasp for the foreseeable future.